Save the date. 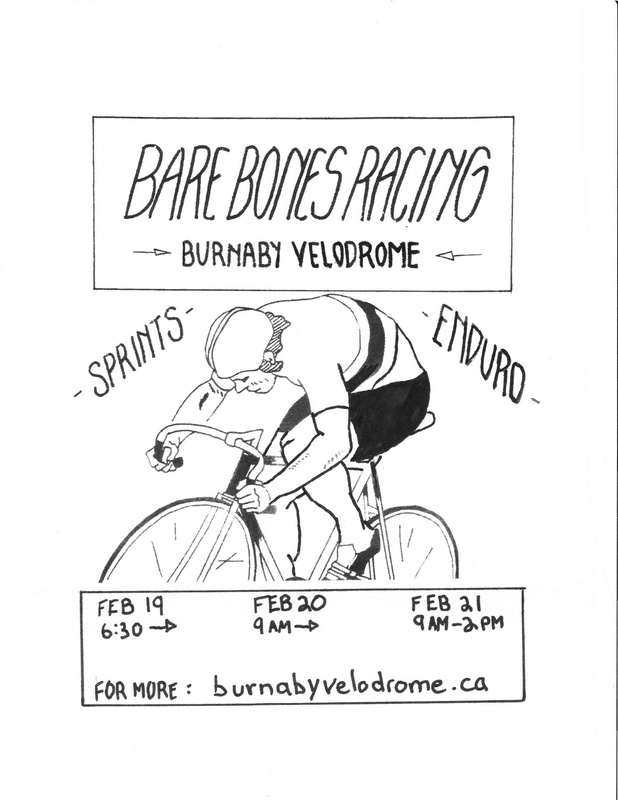 February 19th-21st we are running our highly anticipated Bare Bones #2 for the season. We will be running something for everyone. Sprint tournament, Keirin, Italian Pursuit, 1st and last elimination, and mass start races for days! Just good old fashioned bike racing. We will also have delicious fresh cooked waffles being served up during the weekend. Prizing will be awarded the same as our November barebones event. We will be awarding by draw. Each race you enter gets your name in the draw. Each race you finish in the top 3 your name will also be added to the draw. Everyone has a chance to win some come on out! To register you must pay at the facility. If you preregister for the event before Sunday February 14th entry will be $55 dollars for the 3 days of racing or $35 dollars if you are a current race pass holder. If you register day of it will be $65 dollars and will be $45 dollars if you are a race pass holder. Register early and save! For US riders take advantage of your strong dollar and get your track on. Racing will have A, B, and C categories but if we have enough riders for separate fields we will do it. 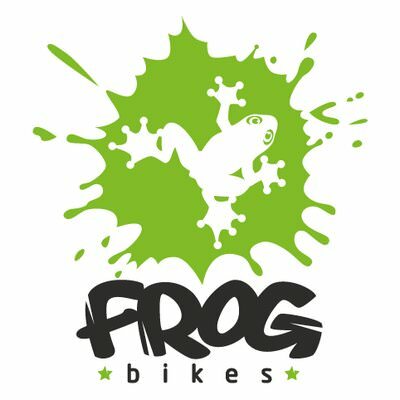 Example if we have 5 or more juniors, 5 or more women cat 1,2 or cat 3,4, and 5 or more for novice racing on Saturday and Sunday. Note Friday night racing will have A, B, C, and novice racing as usual and if we get enough riders to field other categories they will run at the race organizers discretion. Out of town riders looking for host housing please contact Krista Ruby at- krista.ruby@hotmail.com. Our T-Shirts and hoodies are ready for the BVC staff, special thanks to Roni Jones for sourcing them out, and the House of Chain for their sponsorship. Last night we had our monthly tournament. Board member Derek Ulrich went undefeated in his bracket all night showing some great tactics and speed. Kane Tchir also went undefeated in his bracket but narrowly took the first round over Marc Campbell. A close battle between Jennifer Killam, George Muenz, and Lachland Hotchkiss fought it out through the night. Jennifer Killam took the most wins in their bracket. The heavy hitters was contested by Kelyn Akuna, Gaelen Kehler, Rob Gooch, and the youngsters Riley Pickrell and John Willcox. John Willcox went undefeated all night in some very close battles. Whistle drill/ bell drill- This is an individual workout. Riders will ride on their own on the blue line. When they hear a bell or whistle they are expected to get out of the saddle and accelerate while still on the blue line. The rider must shoulder check and only once it is clear they are allowed to drop into the sprinters lane. The effort goes until the riders hear the bell or whistle again. Once the bell or whistle has been rung for the 2nd time all riders will return to the blue line when it is safe to do so. For the safety of our riders the groups will be limited in size at the coach’s discretion. This is a team workout. Riders will be paired up with similar speed and ability level riders. The number of riders in a group and groups on the track will be decided by the coach for safety. The purpose of the effort is to work on exchanges while at speed. This is a no drop effort but don’t expect it to be a walk in the park. A great quote for this one is “some times you need to go slow to go fast”- Jeremy Storie; for those who have seen team pursuit teams come apart you will understand why. Advanced and Intermediate sessions will be running start gate practice. Efforts will emphasize the start. 50m, 50m, 75m, 100m efforts will be included in one set. We aim for 2 sets. A proper standing start should look like this https://www.youtube.com/watch?v=P1AfJSrh1ME. Tempo will be allowed above the blue line during the advanced workout only. Tempo workout will include 2×20 minute efforts in 86-90 inch gears. Each pair will do 5 flying 500m efforts total. Rider one will lead out 3 times and rider 2 will lead out 2 times. The pair will be up on the track rolling at the railing. They will build up speed over 2 laps and drop in by the pursuit line. The lead rider should be doing the 500m effort as hard as they can and the second rider should sit on. The leader of each effort should be trying to drop the second rider. The second rider is not to pass the lead rider they should just sit on. 10 minutes recovery between each effort. Intermediate workout-Take a lap workout. Take a lap consists of one group riding on the blue line. The lead rider will listen for the whistle or bell. The coach will ring/whistle signalling they are to start their effort. The rider must shoulder check before proceeding forward. If it is clear below the rider they are to get out of the saddle and pedal hard as they enter the sprinters lane. Riders must keep their head up at all times. Once the rider reaches the back of the other group they will be required to shoulder check and if it is clear get back on the back of the group. Riders will be on the track at either the sprinters lane or blue line. This is an individual drill. Please do these at your appropriate percentage to get the most benefit from the workout. Advanced workout-Whistle drill/ bell drill- This is an individual workout. Riders will ride on their own on the blue line. When they hear a bell or whistle they are expected to get out of the saddle and accelerate while still on the blue line. The rider must shoulder check and only once it is clear they are allowed to drop into the sprinters lane. The effort goes until the riders hear the bell or whistle again. Once the bell or whistle has been rung for the 2nd time all riders will return to the blue line when it is safe to do so. For the safety of our riders the groups will be limited in size at the coach’s discretion. Intermediate workout- Keirin practice with defined roles. This will be gear restricted and the motor bike will pull off at 4kph. *note if the motor bike is not fixed a strong rider can be used as a sub or the coach can change the workout. Each individual will draw a tactic from the hat and a start position. RIders must not pass the bike until it has pulled off. The purpose of this workout is to allow riders to gain experience in a low pressure atmosphere. Teams will be made up of 3 riders. Each team will do 3 laps total. The first rider will lead the group in from the blue line and accelerate as hard as they can while seated for one lap. Once they have completed the lap they will pull up between the 2 cones laid out by the coach. The 2 remaining riders will soldier on. The second rider will be going as hard as they can while the third rider sits in the draft. Once second rider completes the second lap they will pull up again between the 2 cones. The third rider will finish the final lap. We will do 2 sets total. The first set each rider will lead once (3 efforts). 10 minutes recovery between sets and each effort. The second set will be the same with each rider leading once. One rider will be riding tempo (38kph) on the blue line. The coach will ring the bell for the rider behind the leader (2nd in the line) to signal the start of their effort. The rider must shoulder accelerate and shoulder check before dropping into the sprinters lane. Efforts will be 200-400m in effort and the coach will inform each rider of the distance they will be doing before the workout starts. Once the 200-400m effort is complete the rider is to shoulder check and if it is clear move up to the rail to wait for the group. Once the group rolls by they join the back of the group and recover in the pace line. 2 sets of 12 minutes on the track with 15 minutes recovery. One rider will be riding tempo (38kph) on the blue line. The coach will ring the bell for the rider behind the leader (2nd in the line) to signal the start of their effort. The rider must shoulder accelerate and shoulder check before dropping into the sprinters lane. Efforts will be 200-400m in effort and the coach will inform each rider of the distance they will be doing before the workout starts. Once the 200-400m effort is complete the rider is to shoulder check and if it is clear move up to the rail to wait for the group. Once the group rolls by they join the back of the group and recover in the pace line. 2 sets of 8 minutes on the track with 10 minutes recovery. Take a lap workout. Take a lap consists of one group riding on the blue line. The lead rider will listen for the whistle or bell. The coach will ring/whistle signalling they are to start their effort. The rider must shoulder check before proceeding forward. If it is clear below the rider they are to get out of the saddle and pedal hard as they enter the sprinters lane. Riders must keep their head up at all times. Once the rider reaches the back of the other group they will be required to shoulder check and if it is clear get back on the back of the group. 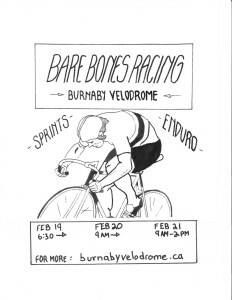 To prepare for the sprint tournament we will review the proper line for a flying 200m on Burnaby. Each rider will do 3 flying 200m efforts with review from a coach. For those who are not racing the tournament or who are not worried about tired legs the workout will conclude with 1×12 minutes of take a lap. Gear- first effort on warm up gear 84 inches. Second and third efforts try larger gears to see which works best for you. Hope you all have had a great holiday season. Our Friday night winter series is approaching quickly so here is the schedule. Note some changes may be made by our staff day of for safety concerns, size of fields, etc. Congratulations to all our fall series winners who are taking home Jakroo series winners jerseys. Over the next 8 weeks we will crown a winter champion. Will it be you? -First to fifteen win and out- a points race where the first rider to win 15 points is the winner and must leave the track. The 2nd person is 2nd, 3rd is 3rd. If two riders are tied the finish position of the final sprint will decide the winner. –The Win and In race is a 15 lap race. There are 5 springs held every 3 laps. The winner of each sprint will qualify for the final. Once the five sprints are completed we have our final riders. The rest of the field that has not qualified will leave the track safely. Qualifiers will get 3 laps to go once the non qualifiers are off the track. Riders who win more than one sprint limit the number of riders in the final. Ie if one rider wins 2 sprints but 3 others win the other sprints we will have 4 riders in the final. -The split scratch will be a combination of a points race and a scratch race. There will be a mid-race sprint that will score points 4 places deep, 5,3,2,1. There will then be a final sprint which will score points 6 places deep, 9,7,5,3,2,1. Highest total points scored wins the race. Scratch race rules apply for laps gained/lost, tie-break is the results of the final sprint.